If you have decided that you’re ready to get a car, it can be difficult to know whether you should lease or buy one. While both options offer advantages and disadvantages, it ultimately comes down to how you want your car to fit into your financial goals and long term plans. Know your financial goals. Are you looking for temporary or long-term financial savings? Be aware of your personal preferences. Will you be happy with the same vehicle 5-10 years down the line or would you rather switch car models more often? How much time do you spend driving? Would it actually save you money to lease rather than buy? Keep reading for our comprehensive breakdown of the pros and cons of buying vs. leasing a car. Purchasing a car is most people’s first instinct, making it the more traditional route. But before you jump into buying a car, think over your financial goals and long-term plans. Are you financially ready to take on monthly car loan payments? According to Finder, an online comparison website, the average car owner paid $515 each month on their loan, and 7 million Americans are behind on their payments. Consider how long you will own this car. The average age of a modern vehicle is around 11.5 years, and most people who buy a new car will keep it for at least six years. Used or new? Before you buy, you have to decide whether you want a new car fresh from the manufacturer or a used vehicle. Remember that older vehicles won’t have all the safety features, navigation, or entertainment systems that are now considered fixtures in the industry. When you buy a car, you have full control over the vehicle, giving you far greater freedom of choice than when you lease. You get to choose how long you keep the vehicle, how to modify it, and what type of insurance to purchase. A lot of people will decide that the freedom that comes with owning a car far outweighs any of the negatives. Since you won’t be beholden to a dealership, your life might also be simpler. Additional Info: Find out more by reading 23 ways how your car can supplement your income. When you own a car, you won’t be required to show anyone your car maintenance receipts. A similar benefit is that you can use your car to your heart’s content. That means as long as you’re okay with some bumps and scratches, it won’t matter at all! If you a lease a car though, anything more than normal wear and tear will leave you responsible for extra charges. Owning your vehicle means you get to choose what type and how much insurance to buy. 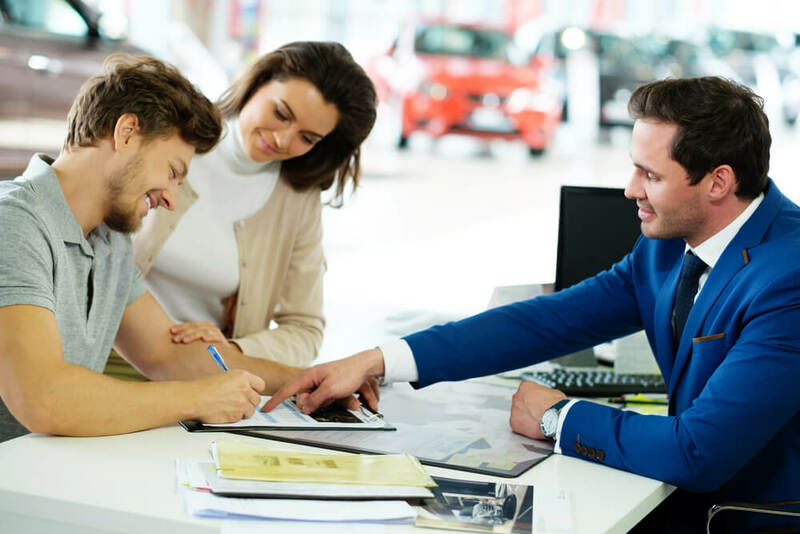 Without the need for a dealership’s or leasing company’s approval, you’re able to scour the insurance market for the best, and most ccost-effective deals. Buying a car means you’re able to purchase insurance that offers only the absolute minimum liability requirement. This usually means that if you are in a collision and at fault, your insurer will only cover the costs of the other driver. Of course, if you’re buying a more expensive vehicle, you’ll want more insurance that will ensure your own coverage as well. It’s a very good idea to include insurance costs when you decide to buy a car in order to get the most accurate budget. While, your car loan payment will likely be expensive and a monthly inconvenience, if you pay it on time every month, you can build up a strong credit score. You will be able to demonstrate to lenders and banks that you are financially responsible and can handle large loans. This will make new investments, like a mortgage, easier to apply successfully for in the future. Plus, you can apply to refinance your loan later on if the interest seems too high. This will drop the overall price of your car and can even shorten the length of time you have left on paying back your loan. If you require a loan from a lender to purchase the car, the lender will check your credit report to make sure you are creditworthy. However, the car dealership won’t feel the need to put a check on your report—they’ll trust the bank or lender that you are borrowing from. This is beneficial because future lenders can see how many credit checks have been put on your report. If you have too many people checking your credit score, it can make a bad impression as the lender will assume you’ve made many unsuccessful loan applications. When looking at buying vs. leasing a car, one of the main benefits of purchasing a car is that you will face fewer upfront costs. You will have to put down money, either the full cash price of the vehicle or a down payment on a car loan. You will also likely have to pay taxes, registration, and other administrative or dealership fees. This might sound like a lot, but leasing a vehicle comes with far more upfront costs. These costs include, the first month’s payment, a security deposit which you can later get back, a down payment, along with taxes, and the same registration and administrative fees. While the down payment is less for leasers than buyers, the other costs quickly pile up.If you’re thinking about leasing a car off and on, you will probably have to pay these fees each time you lease a new car. Since you own the car, you can do with it what you wish! You have full control over the looks and mechanics of the car so that it can suit your lifestyle and taste. You do have to keep in mind that if you customize your car in certain ways, it could actually void the warranty. So discuss with the dealership beforehand if you have plans to customize, and learn early on whether you’ll lose your warranty or not. Good to Know: If you lease a car, customization won’t be an option. You will have to return the car to the dealership in a good condition and if you added any additional features, these will have to be removed beforehand. Doing so can be a costly endeavor. If there is any sign of the customization left behind, it can put a dent in your security deposit. If you decide you no longer want to keep your vehicle, you can sell or trade it whenever you want. Of course, you will still have to pay any remaining balance left on your car loan, but money from a sale can be put toward paying it off. Even better, your car will have resale value, which can be significant if your car is kept in good condition. If you have paid off your loan, all of the money made from reselling your car is yours to keep. Unfortunately, if you decide to buy a car, you’ll be paying a lot more each month on your car loan payment than you would on leasing payments. Your car loan will also come with an interest rate. Depending on your credit score, this interest rate can be steep and have you paying thousands of dollars more on top of the price of the car. It’s an exciting moment when you finally drive off the lot with your newly purchased car, but it is also the same moment that the car’s value begins to depreciate. In fact, a car’s value can decrease by 20% to 40% in just the first few years. Yes, buying a car can be an excellent financial investment. However, its value will lessen depending on how long you own it and how much you drive it. You should keep this in mind before you purchase the vehicle and understand that you won’t be able to resell it for the anywhere near the same amount. Good to Know: On the other hand, this can actually benefit you if you are buying a used car. A car that is only three years old likely won’t be much different than a new vehicle of the same model and will usually be steeply discounted, saving you lots of money. Pretty much every car’s value will depreciate, but there are a few things you can do to stave off your car’s declining value. Buy a used car. The most dramatic drop in a car’s worth happens when you drive it off the lot, a depreciation of about 11%. If you buy a used car, you will avoid this initial decline in value. Keep it clean and well-maintained. By keeping your car washed on the outside and tidy and vacuumed on the inside, you can make sure that it is worth more when you deice to sell. Staying up to date with your car’s maintenance will cause future buyers to trust you and pay more for the car. Choose a dependable car. Cars that are known to be reliable and safe will usually retain their value much longer. So do some research beforehand to see whether the car you want keeps most of its value after five years of use. Because of depreciation in the car’s value, it isn’t financially wise to regularly buy and sell cars. If you don’t sell the car within a handful of years, you will likely keep it for upwards of a decade. It simply is inconvenient and costly to do otherwise. This can leave you feeling burdened or trapped by a vehicle if you later decide it wasn’t the right choice after all. There is also a lot more hassle involved with reselling or trading in your car. With a leased vehicle you can simply return the car and walk away, deciding not to purchase it in the end. The car title, sometimes called a ‘pink slip’. Paperwork from the DMV needed to transfer ownership. A vehicle history report. This will show your potential buyers the accurate condition of your car. You will also have to research the market and decide on a good price for your car, and advertise it online. Along with drive tests and screening buyers, this is a time consuming and tiresome ordeal. As we mentioned earlier, if you require a car loan, it will come with an interest rate attached. If you have a weak or nonexistent credit score, chances are you will either be denied a loan or receive one with a very high interest rate. If possible, you should try to calculate beforehand how much interest you will end up paying over the full duration of the loan. This will give you the true picture of how expensive your car is—and how long you will be paying for it. Good to Know: For some people, the cost of a new car plus the interest can become overwhelming, so you don’t want to go into this commitment blindly. Once you have your loan and are making regular, timely payments, there’s a good chance that your credit score will steadily improve. After a few years, you can return to your lender (or seek out someone new) and apply to refinance your loan. Pro Tip: Just keep in mind that a refinanced loan can, but does not always, extend the length of the loan. That means that even with a better interest rate, you could end up paying the same amount because there are many more payment installments. An easy way to remedy this problem is to ensure that your lender is offering you a refinanced loan that has both a better interest rate and a shorter loan duration. Buying a car will require a substantial down payment. Usually, the down payment is about 15 to 20 percent, which means if your new vehicle costs $10,000, you will need to have between $1,500 and $2,000 on hand. Saving this amount of money can take years to do, and you will still face large monthly payments for the years following. Such a large and long term financial commitment simply doesn’t fit into everyone’s financial goals. You should decide before you buy a car whether you want to saddle yourself with a long duration loan. Once your warranty expires, you will have to cover all repair and maintenance costs. If you buy a used car, this can be pricy, especially when there are unknown problems with the mechanics of the car. The seller might not have known or disclosed the entire history of the car, which can lead to unexpected trouble down the road. So it’s usually a good idea to get extra warranty for a car after its manufacturer’s warranty has run out. And if you bought a new car? Repairs and maintenance could still be pretty expensive after the warranty ends. You want to prepare yourself for these future costs and factor them into your budget and financial plan. When considering buying vs. leasing a car, a lot of people will question: what is actually involved in leasing a car? Before we go into the pros and cons of leasing, here are a few things to know. Leasing a car requires you to only pay the difference between the vehicle’s price and its depreciation—along with interest and some registration costs. Leasing vehicles makes the dealership or company money through raised interest costs, add-on features, and the hope that you will eventually buy the vehicle after leasing it for a number of years. Most leases last between 1 and 4 years. 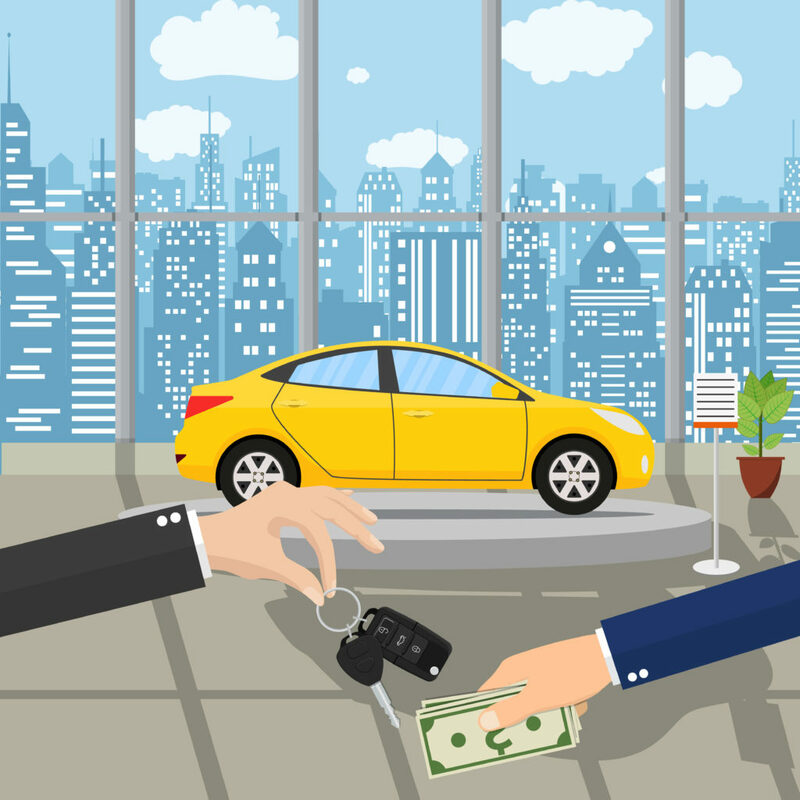 At the end of the lease, your dealership may offer an auto lease buyout. Even if you want to keep the car, make sure the dealership doesn’t try to mark up the price and negotiate for fees to be dropped or added financing discounts. Before you lease, find out the car’s residual value. This will tell you how much the car will be worth after the lease ends. The higher the residual value, the lower your lease payments. Ask about upfront costs. You probably don’t want to put down a lot of money upfront on a lease because if the car is stolen or totaled, you might not get your down payment back. Most people assume that buying is always the best choice, but there are actually quite a few reasons why leasing could be the right decision for you. Here are our 7 top reasons to lease. By far one of the best parts of leasing a car is the cheap monthly payments. Compared to a car loan, leasing payments are way more affordable. Leasing is much cheaper because you aren’t actually paying for the car, you’re paying for the car’s depreciation. You could end up paying as little as half the amount as a buyer of the same car would. This is why leasing a car is great for people who require a vehicle for their jobs or life in general, but can’t afford to save up for a down payment and hefty monthly payments. If you are someone who enjoys trying out new car models or manufacturers, then this can be a big bonus. When you get tired of your car, you can end your lease and switch to a different make and model. This also offers a good opportunity to figure out what type of car works best for you. Maybe that SUV was too big and drained your fuel budget or the convertible no longer suits your growing family. Leasing a vehicle means you can ditch that car and get a new one much faster and more easily than if you had bought it. A great advantage to leasing a vehicle is that you have the chance to negotiate with more success than when buying a car. Do your research. Before you step into the dealership, you should do some sleuthing online and find the best deals available on the market for the car model you want. Not only will manufacturers have special offers, but individual dealerships will as well, so it helps to diversify your internet searches. Bring down the financing. Financing is essentially the interest you will be paying and you can definitely try to lower it. It is usually hidden away in the lease factor or the money factor, so be on the lookout for this percentage in the documents. Mileage limits. Here is another opportunity for you to flex your negotiating muscles. Usually a cheaper lease agreement will bind you to a low-mileage limit. Ask for a higher mileage limit at the same price and you might be able to cut yourself a deal. When you buy a car, you have to deal with the unfortunate fact that its value immediately—and dramatically—drops. But when you lease, this isn’t your problem. This also means you have less to worry about when you decide you want a different car. Instead of accepting that your car has lost a considerable amount of value since you bought it, you can simple hand it back into the dealership and drive out with a new car. If you are looking for time efficiency and minimal hassle, leasing a car is probably the best choice to make. Decided you no longer want the vehicle? You can simply hand it back into the dealership. Yes, you will have to pay an early exit fee, but many people will find this worthwhile in return for the convenience and freedom it affords. Now there are also loyalty programs available to frequent leasers. These programs make the process even easier and faster for the customer because you have developed a relationship with the dealer. This can be a great option if you are wanting to lease a car for business reasons as you can lease for a series of short durations and return the car when it is no longer needed. Whether you are leasing a vehicle for business or pleasure, it offers you a way to drive some of the nicest cars on the market. You can also take advantage of and try out many of the newest features and add-ons in the automobile industry. Swapping out cars often ensures you can be among the first to use these features. And if you can’t yet afford to own a luxury car, leasing allows you to still enjoy driving one. You might not expect it, but leasing a vehicle can lead to a pretty big tax deduction if you are a business owner who is leasing a car for business purposes. With the help of a savvy accountant, you can end up finding helpful tax breaks on your lease. You will also find that there are no upfront sales tax charges, which will drop the price of the car as well as your monthly payments. Tax breaks along with lower maintenance costs, means you could end up saving a bundle by leasing a car rather than buying it. However, there are some downsides to choosing to lease. When comparing the pros and cons of buying vs. leasing, consider these 7 drawbacks to leasing. When you buy a car, you are probably planning on eventually selling it and pocketing the cash or putting that money toward your next car.However, leasing a car means that once the lease ends, you won’t have gained anything. The car ultimately belongs to the leasing company or dealership so you have to abide by your contract in order to keep using the vehicle.You have to remember that you don’t own the car you’re driving, you’re just renting it. Leasing probably isn’t the right choice if you want to start laying down long term financial goals. A big disadvantage to leasing a car is that you will usually have a limit placed on how much you can use it. This probably doesn’t seem like much of a problem if you are a casual driver or commuter. However, if you don’t accurately estimate how many miles you drive, you will end up facing extremely high excess mileage fees. Usually the excess mileage charge is anywhere between $0.20 and $0.30 per extra mile. Over time this can really add up—even a commute of just 15 miles a day could be an unplanned daily charge of $5. Conversely, overestimating how many miles you need will lead you to greatly overpaying each month. Good to Know: It can be a challenge to precisely predict how many miles you will require over the duration of your lease, so take the time to calculate as best you can before you sign a lease. Unsure of how many miles you need? If you have owned a car in the past, look through your old maintenance or repair bills. These will typically have an odometer reading, letting you know how much you were driving in the past. Additional Info: If you don’t use your car too much, we have info about how you should go about a pay-per-mile insurance. Chances are, any vehicle leasing contract you sign will forbid you to remove, alter, or add anything onto the vehicle. The leasing company wants to ensure that the car is returned to them in a resalable condition, which means it is as close to new as possible. It’s easy to think that leasing a car would minimize the amount you have to spend on maintenance and upkeep costs, but this isn’t always the case. There are strict wear and tear rules built into lease contracts, so if you lean toward being a careless driver, you might be better off buying a used car. About to lease your first car? You should be aware of the credit card test. Essentially this means that you will have to pay to repair any scratch or dent that is bigger than the area of a credit card. You will likely also have to pay for any scratches to the interior or damage to safety features (like seatbelts). Additionally, you will need to keep hold of all your maintenance receipts to show to the leasing company. Yes, leasing a car can save you time and hassle, but sometimes the terms in the lease agreement can be extremely confusing, especially when it’s written in legal jargon. It’s a natural impulse to skip over the terms and conditions, but you should resist the urge when signing a car lease. If you’re struggling to comprehend the contract, it might be a good idea to reach out to a lawyer and have them scan the terms to make sure they are fair. This adds inconvenience and cost to the leasing process. Even though you won’t have to go to a lender for a car loan, the dealership will want to ensure that you have a topnotch credit score. If you don’t have a strong credit history, your lease contract will be more complicated and the payments much higher. If you see a great leasing offer online, there is a good chance that it is only available to those customers with excellent credit. Before visiting a dealership, check your credit score so you have a good grasp of your financial situation and creditworthiness. You can also look for any mistakes in your credit history and give yourself enough time to correct them or build better credit. The United States has three main credit report agencies that are required to provide you with one free report every year. Even better, the process to get your free report is quick and easy. Just order online at the agencies’ central website, annualcreditreport.com or call at 1-877-322-8228. Be wary of unofficial websites that only offer a free trial period, as you will have to pay fees once the short trial ends. Along with a high credit score, you’ll need to have extremely high coverage. The leasing agency wants to make sure that the car they own is well protected. You will almost certainly want to have gap insurance, which will cover the difference in how much remains to be paid on the lease (this is how the insurance provider valuates the vehicle). Good to Know: When a leased car is wrecked or stolen, the insurance company will only pay as much as they believe the car is worth. This leaves you responsible for paying the amount left on the lease. Gap insurance will protect you from paying this yourself. Sometimes your lease contract will include gap insurance, but you have to make sure to ask the leasing company about this before signing the agreement. How you interpret these pros and cons ultimately comes down to your personal financial goals and the lifestyle you lead or want to lead. Overall, if you’re ready for and wanting a big commitment, then buying a car is the right choice. You will need to be prepared for a big financial investment and more responsibility because all the choices are left up to you. That means you will have to decide how much insurance to buy—and what kind—as well as any additional features to add on, and how often to get a maintenance check. These kinds of responsibilities can add up quickly and become overwhelming and expensive, so you need to be ready to take on a lot of challenges. You will also need to do a lot of research on the type of car you want—that means safety features, environmental aspects, style, age, and price. This research can be extremely time consuming, but it will pay off in the end. The car you buy will likely be yours for a very long time so it’s worth your while to put in the time and effort beforehand to make sure it is the right fit for you. If your decision comes down to which option, buying or leasing, is cheaper, the answer can be more complicated. A quick google search will reveal that everyone has a different opinion on the matter. In the end, it really depends on long term vs. short term savings. If you are currently financially secure and can handle making pricier monthly payments on a car loan, buying a car is the better option. You will likely save on insurance, upfront costs, and maintenance, but your big savings will come when you decide to sell the car. When you lease a car, your money isn’t actually going toward an eventual purchase, but when you buy a car this money acts like a mortgage, going toward something you eventually have full ownership of. There are a lot of sources out there that will warn you to never lease. However, these rarely take into consideration the many benefits of leasing and focus solely on the lack of ownership. If you aren’t too fussed about ownership, then leasing might just be the right choice for you. If you have a tight budget but need a car to get around, then leasing is the better choice. In terms of short term financial ease and savings, leasing is by far more affordable because you will only ever pay for the depreciation, which means you will never owe more than what the vehicle is worth. Younger or new drivers also suit leasing better because it gives you time and freedom to drive a variety of vehicles and discover which one is best for you. When you lease a new vehicle, it is most likely covered by the manufacturer warranty for the duration of your initial lease (this will likely expire if you decide to renew the lease or buy the vehicle), which makes it a good choice for anyone worried about small scratches, dings, or maintenance requirements. However, you shouldn’t choose leasing if you expect to be driving the car constantly or going on long road trips. You will quickly burn through your mileage limit and either face the high excess mileage charges or be unable to use your car for the remainder of your lease. You should keep in mind that while you can end a lease early, this can be a costly decision due to early-exit fees. So make sure you are financial stable enough to afford your lease until it ends or opt for the shortest lease possible. In the end, it’s up to you to decide how a car fits into your life and finances. Let us know below what you think: is buying or leasing a car better?